Because there's always room for dessert. 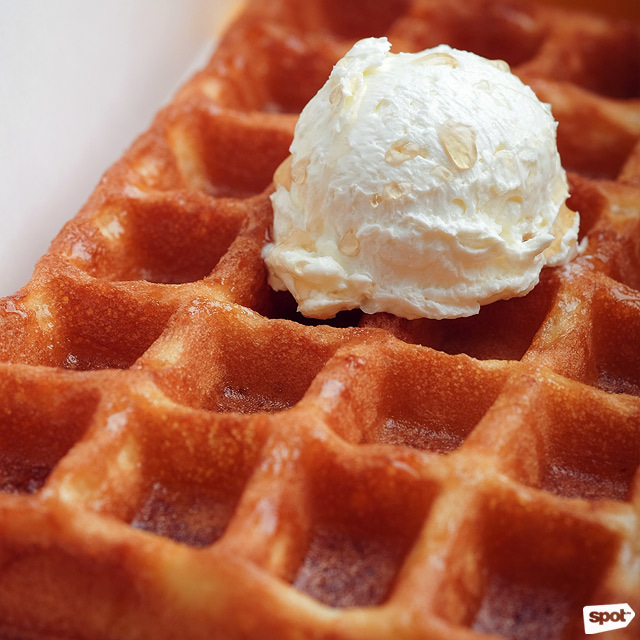 (SPOT.ph) Every sweet tooth knows there’s always, always room for dessert. From bingsu to churros to ice cream, you know there’s always something to look forward to at the end of a meal. In spite of that, the test of a truly good dessert is when you can have it any time of the day. 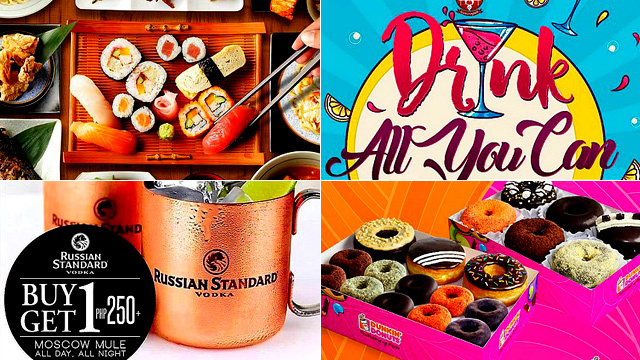 So, we went ahead and put together a list of places that will definitely hit the spot when you’re simply craving something deliciously and sinfully sweet. Heck yes, doughnuts can be dessert! 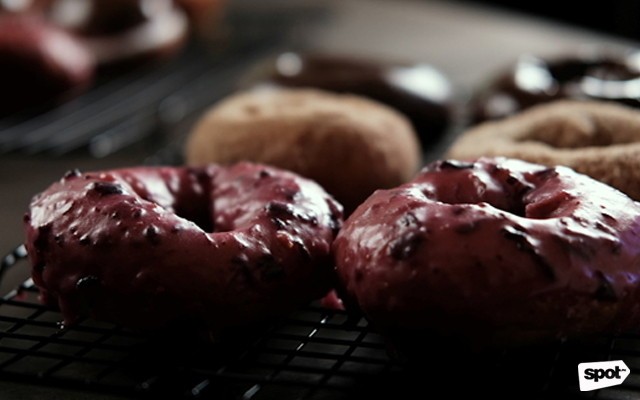 Founded by pastry chefs Miko Aspiras and Kristine Lotilla, Poison serves doughnuts done the traditional way. With only seven flavors, the hidden doughnut shop flaunts no-frills offerings—just simple, chewy doughnuts. While you're there, grab a box of their Salted Dark Chocolate doughnuts, blanketed with rich, Valrhona chocolate. Poison is at The Alley, Karrivin Plaza, 2316 Chino Roces Avenue, Makati City. Don’t be fooled by their name. This Australian café doesn’t just serve ice cream, but they also offer some of the best churros in town. 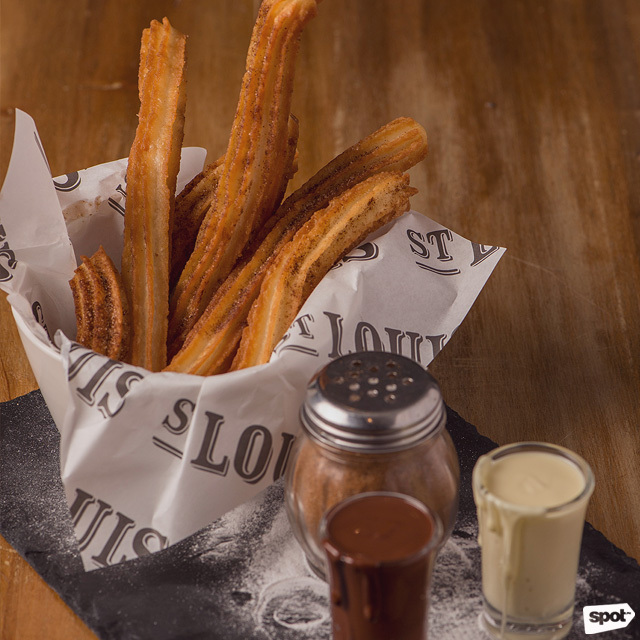 Their churros are light, crispy, and perfectly made for dipping into dark chocolate. 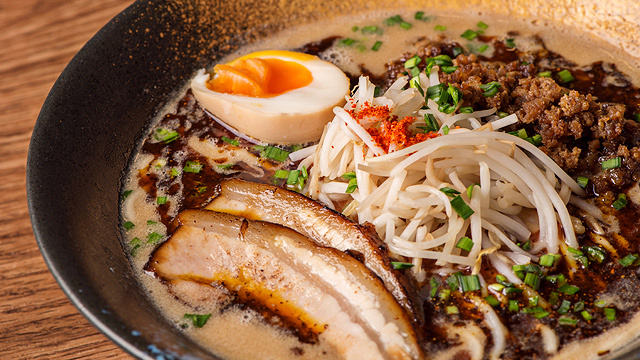 You’ll be coming back for more once you try it! Besides that, St. Louis also has dessert-like brunch staples like waffles and fruity pastries. St. Louis House of Fine Ice Cream & Dessert is at Unit C3-104 Bonifacio High Street, Bonifacio Global City. The rolled ice cream experience is part spectacle while you eagerly wait for your dessert to be made right before your eyes. 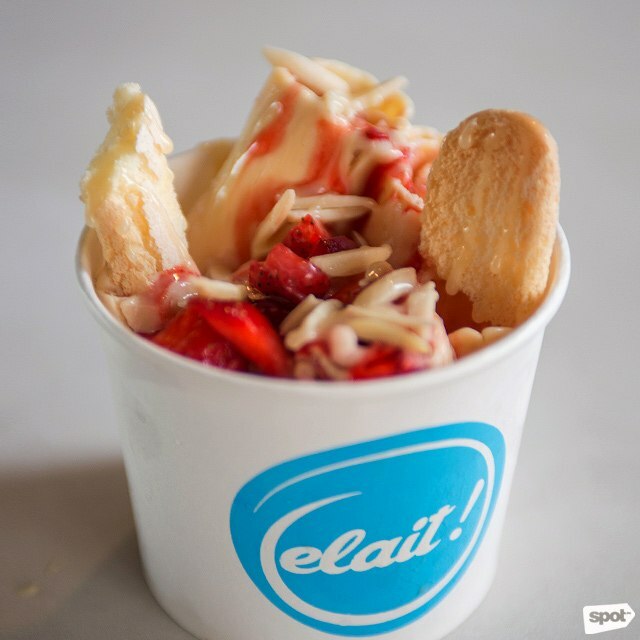 Elait uses only locally and ethically sourced ingredients so you know you’re doing the country good with every spoonful. Don’t leave without trying their Strawberry Trifle, a decadent ice cream mixture of fresh strawberries, strawberry yogurt, cream cheese, and lady fingers. Elait is at 2/F Century City Mall, Kalayaan Avenue, Makati City. Who knew that Tokyo's famous BAKE Cheese Tart would make its way to Manila? 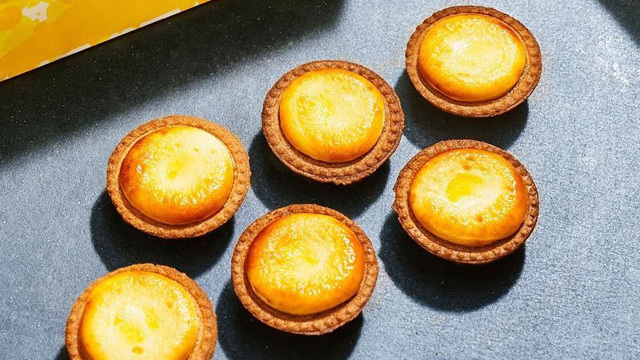 This dessert shop serves up hot-from-the-oven, gooey cheese tarts that uses a blend of three cheeses from Hokkaido and France. We don't know about you, but we're heading there before these perfectly toasted tarts run out! BAKE Cheese Tart is at The Podium, Ortigas Center, Mandaluyong City; and R2 Level, Power Plant Mall, Lopez Drive, Rockwell, Makati City. 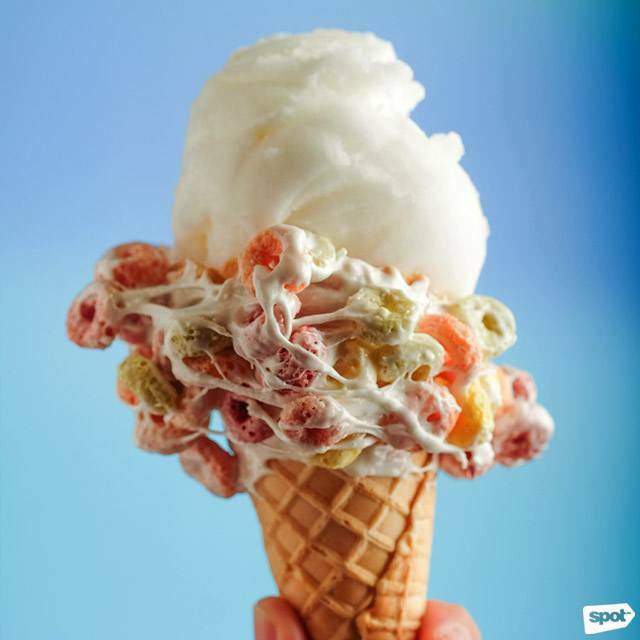 If you’re feeling a little extra, this ice cream parlor that hails from the U.S. is the one for you. 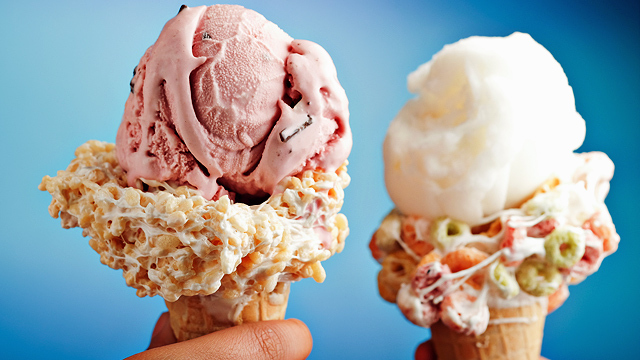 With a wide variety of over-the-top waffle cones, which are already a dessert all on their own, you’ll have a difficult time choosing which one to get every single time. For ice cream, try their Space Cake, which is basically cake batter ice cream with generously sized chunks of shortbread cookies and red velvet cake. Emack & Bolio’s is at G/F Ayala Malls the 30th, Meralco Avenue, Pasig City. Bakere Café’s home-baked pastries are pretty famous for a reason. 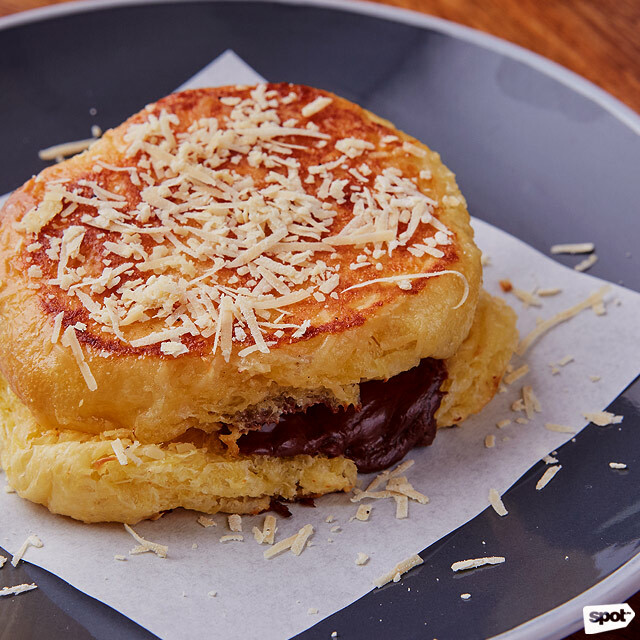 Their Grilled Ensaymada gets a serious upgrade with melted dark chocolate sandwiched between two buttery-soft and slightly toasted ensaymadas. Meanwhile, their unassuming cheese cupcakes are moist and boast of a caramel-like flavor. All of these, of course, pair well with the shop’s coffee offerings, like the best-selling Bicerin. Bakere is at Three Brixton Building, 3 Brixton Street, Kapitolyo, Pasig City. There’s no doubt that bingsu is perfect for our tropical climate. Here, you’ll get a towering bowl of snow-like ice with fresh toppings such as strawberries, blueberries, and mangoes. 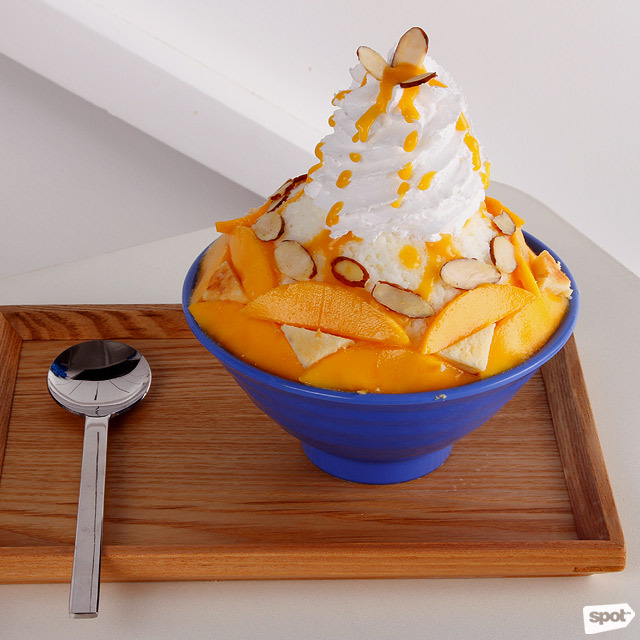 The Mango Cheese bingsu is everything you want your chilled snack to be—sweet and loaded with cheese! A cross between savory and sweet, an order will get you chunks of cheesecake, almonds, fresh mango slices, and a tangy mango purée. All on a bed of melt-in-your-mouth, smooth-and-milky shaved ice, of course. K Bingsu Cafe is at G/F Promenade Mall, Greenhills, San Juan City. When you think of Korean desserts, we’re pretty sure you almost immediately think of bingsu. But this sweets place hailing from South Korea takes a classic treat like tiramisu and turns it into a velvety soft-serve ice cream. Just imagine: Milky vanilla ice cream, mascarpone cheese, mocha and chocolate cookie crumble, coffee sauce, and dark chocolate in one decadent bite. Mmm. Makes you want to head over there right now, huh? Kiss The Tiramisu is at Three Central, Valero Street, Makati City. Whether you like your waffles plain or with some whipped butter and real maple syrup, this shop will have you coming back for seconds. Owners and sisters Kim and Bea Luna took almost a year perfecting their crispy-outside-and-chewy-inside waffle recipe. Once you bite into their tasty treats, you’ll know the long lines are worth it. Batter Or Dough is at 4/F The Block, SM North EDSA, Quezon City. 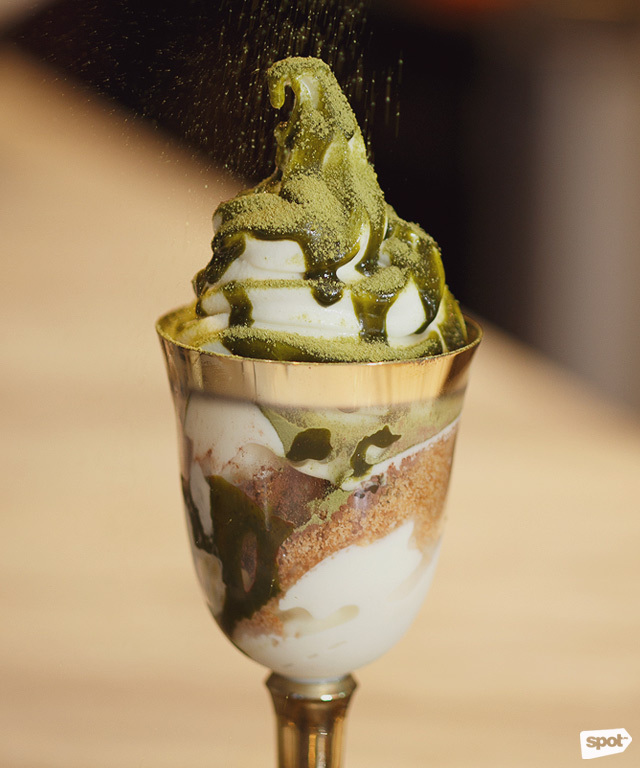 If you’re a big Tokyo Milk Cheese Factory fan, you’ll definitely love a serving of this Hokkaido-style soft-serve that you can even order with a side of Milk Cheesecake and your choice of cookie. This crowd-favorite has just a hint of saltiness that’s perfect for those days when you can’t decide if you’re craving dessert or something savory. 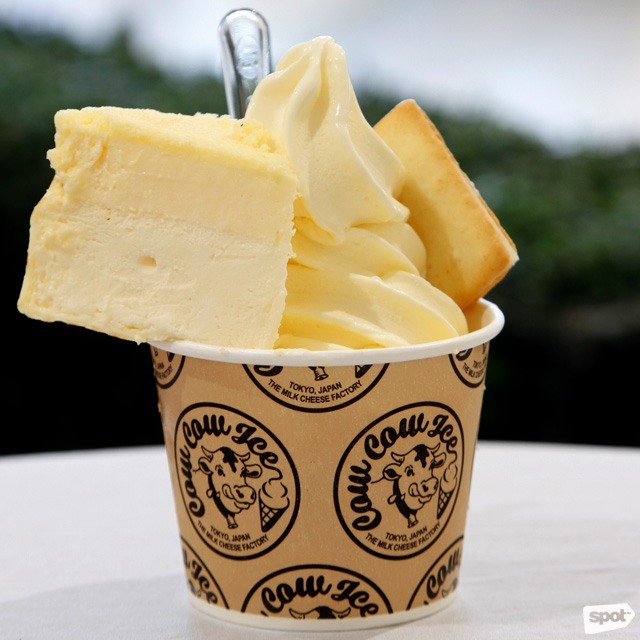 Cow Cow Ice is at SM Megamall, Mandaluyong City; Power Plant Mall, Makati City; NAIA Terminal 3 (Domestic), Pasay City; and Alabang Town Center, Muntinlupa City.